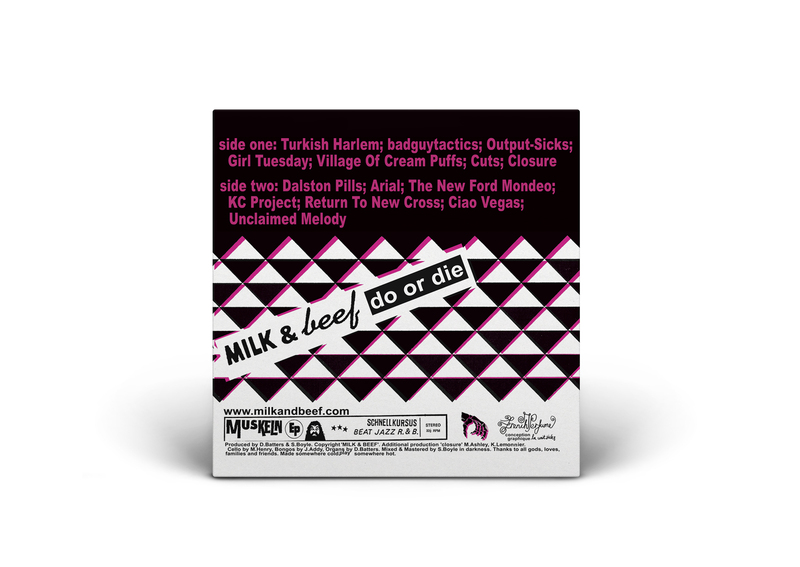 Milk & Beef - Do or Die (Resurrection) :: Bladud Flies! Originally conceived as a hip-hop scratch/battle record for turntablists, Do or Die is made up of short instrumental beats interlaced with sound effects and vocal snippets. Predominantly constructed from obscure vinyl samples, the record also features an Emu Drumulator, and live performance samples of cello, organ and percussion. Re-contextualized as home listening experience, the album sounds timeless and fresh, a musical journey rich with drama, romanticism, and humour. 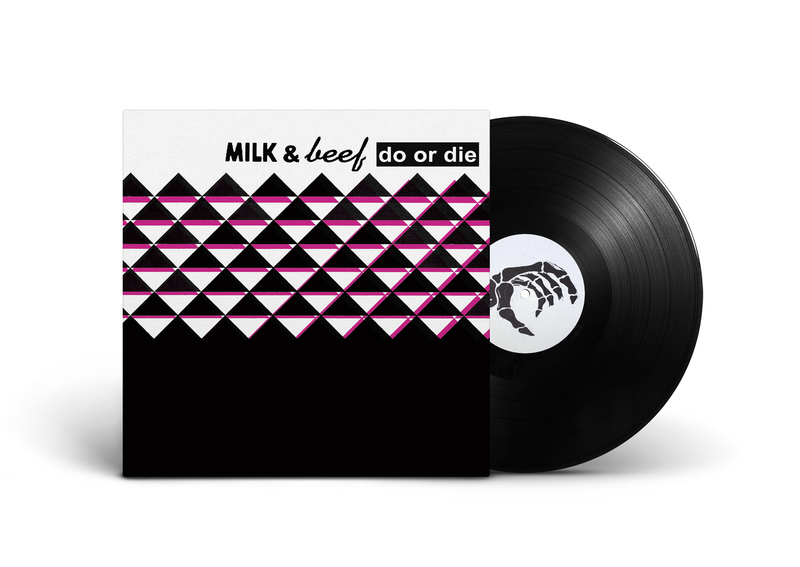 Do or Die, was produced over the course of a year (2003-2004), and self-pressed by Milk & Beef as 1,000 vinyl LPs at the end of 2004. This pressing was taken on by short-lived label The Thin Man, and released in 2005 with catalog number TTM001. Of the 1,000 copies pressed, 100 were distributed directly by Milk & Beef, and we believe a further 150 were sold through The Thin Man. So roughly 750 copies remained in stock, 50 of which were held by the artists, 700 by the label. Not wishing to dwell on this distressing and acrimonious situation, we decided to go ahead anyway, individually screen-printing a new sleeve design for the 50 copies still in our possession, and releasing them as a now very limited one off edition: Do or Die (Resurrection). Vinyl purchasers will also receive a free download of a digital version re-mastered by The Bricoleur and featuring 2 bonus tracks, Louise and VW. We suspect there are still copies of The Thin Man release of Do or Die out there somewhere, possibly in the back of a record shop, or maybe in a skip near you. However, it’s safe to say that this limited run of 50 editions are all salvaged artefacts to be treasured.